FOUR private schools that had requested pupils to provide details of their HIV status in violation of the national HIV and Aids policy, have bowed down to pressure. This was confirmed by the Zimbabwe Doctors Association (ZiMA) secretary general Dr Shingi Bopoto in an interview yesterday. He said the schools failed to justify inclusion of the requirement for pupils to disclose their HIV status on forms they had given them. Dr Bopoto said the schools also failed to explain how one’s HIV status was useful in a school set up. “When we engaged them, they had no justification for including that requirement. In fact it seemed as if it was done by an overzealous someone who designed the questionnaires. The schools where not aware of the impact of such a requirement and they promised to rectify it,” said Dr Bopoto. He refused to disclose the names of the schools. Dr Bopoto warned other schools that it was unlawful to do so. “The HIV and Aids policy is clear that HIV disclosure should be voluntary and for schools to request such results from pupils is clear violation of this policy. “Any school that could be making this request to its pupils should be guided accordingly,” said Dr Bopoto. He said ZiMA raised alarm after some of the pupils from these schools approached medical practitioners who are ZiMA members requesting for the tests. He said all doctors approached refused to carry out the tests citing violation of standing rules and regulation as far as HIV and Aids issues were concerned. According to the HIV policy, disclosure of one’s status is associated with possibilities of stigma and discrimination. 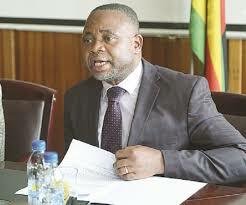 Primary and Secondary Education Minister Professor Paul Mavhima has since ordered schools requesting for pupil’s status to stop it.